At the next World Efficiency Show (13th > 15th October, Paris) Peli Products, global leader in design and manufacture of both high-performance case solutions and advanced portable lighting systems, presents its solutions for the transport and packaging needs of the industries, with a large selection of durable, permanent and ecological cases, that can be reused again, and again; and lighting systems that are the ecological alternative to generator powered lights. The company will exhibit in Hall 1 - Stand 26. Studies have shown that a durable, permanent packaging solution in shipment and storage is a cost-effective and ecological alternative to disposable packaging. Single use, expendable packaging such as cardboard or wood crates, require time and labour for assembly and disposal, and increase in-transit risk. Therefore, more organisations are changing from regular cardboards and wood cases that can only be used once, to reusable packaging as Peli Cases, offering equipment the best possible protection for transport and repeated use. 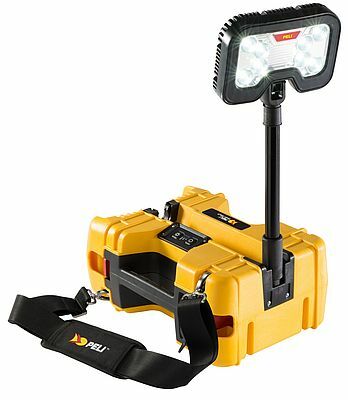 Cases like Peli's are a reliable, cost-effective and ecological solution, and are marking the future of the transport and protection of equipment, tools, devices and machines. 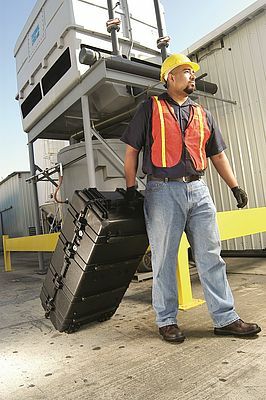 With a Peli™ case, the cost is amortized over its life. On some models, it's recovered in as few as two trips. The Peli-Hardigg cases are rugged, watertight, airtight, chemical-resistant, lightweight, durable, impact-resistant and reusable. 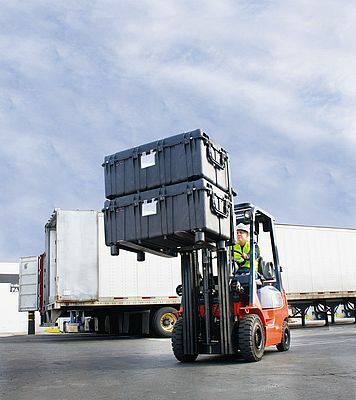 These cases have been tested in the harshest conditions, and are designed to efficiently keep the sensitive and vital equipment safe from moisture, dust, sand, salt and impact. Safe inside, the equipment is protected against drop damage, while the rib design maximises stacking and stability en route. These cases have been used for OEM purposes, for transport of control panels, electronical devices, robots, engines, satellites, UAVs, aircraft parts, just to name a few examples.